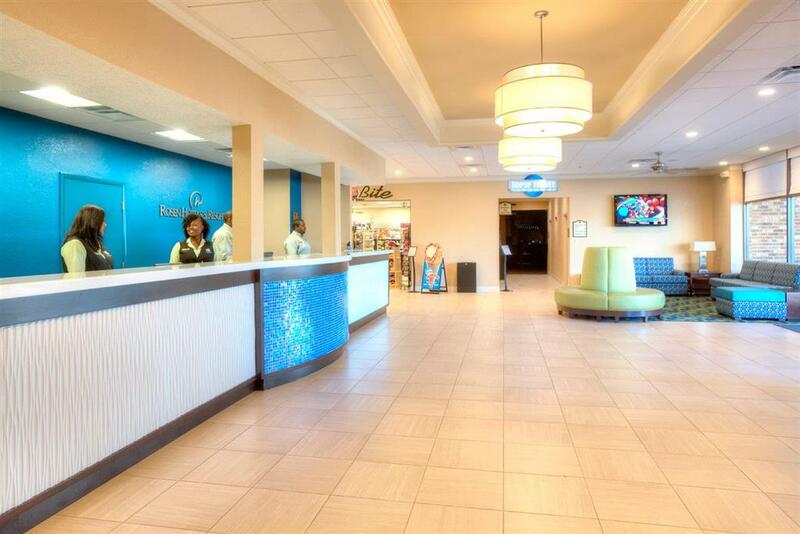 Rosen Inn International is ideally located on international drive in the heart of sunny Orlando. A variety of restaurants/dinner shows and several shops are located in the surrounding area. The hotel is just minutes from popular attractions including universal studios Orlando/ Seaworld Orlando and Walt Disney world. The hotel offers free transportation to universal studios Orlando/sea world Orlando and wet n wild Orlando. Attraction tickets may be purchased from our guest service desk. Pet accommodation 15.00/night per pet. Up to 3 children eat free w/2 paying adults. I-4 and Sand Lake Road Exit 74A. Universal Studios 5 Miles Sea World 6 Miles Disney World 14 Miles. BR Approximate Mileage. A deposit for hotels within the united states must reach the Hotel 5 days prior to the arrival date. A deposit for all International hotels must reach the hotel 10 days prior to the Arrival date. In case of a no-show the credit card will be Charged one night stay. - Orange co. Conv. Ctr.